And I am back from my vacation! Sunburned, with rashes to boot (from seaweeds -_-) and a refreshed spirit! Bring it on! *cough* Anyway, here are our picks for this week. Want? 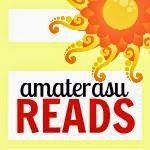 Add to your Goodreads list! Okay, this sounds a little bit like a mash-up of The Girl in the Arena and First Date plus a side of The Hunger Games. A nice combination, if you ask me. How do you predict what teenagers will do in a crisis? That seriously makes me so interested. Reality TV turned gruesome. Sign me up! BEAUTIFUL MUSIC FOR UGLY CHILDREN is the story of how Gabe learns to be a guy so he can leave Elizabeth behind. Some good things happen in the course of his summer—Gabe graduates, gets asked out, and gets loved by the fans of his show. But he also gets outed and threatened, and he must defend himself against violence that’s rooted in fear. In essence, Gabe’s journey to find himself is the same one we all take. His is just electrified, amplified, and broadcast into the night. This sounds like Shrinking Violet but in reverse. It's a radio DJ who is a guy, pretending to be a girl. I wonder how he does that? I can only imagine what people's reaction will be if they found out the girl they listen to is actually a guy. I think this one is worth a shot. Intriguing. Makes me want to read it now! So what are your WoW picks this week? Share them please! Flash point sounded like a fun read until I got to the end! Reality TV seems to be the big thing now since the HG movie. But this sounds amazing! P.S Love the layout. I knew there was something different about it! Haha. Flash point sounds really awesome! I'm adding that to my to-read list (: Great picks! Wow, love the new layout! It's so striking and while I loved your old design, I think I love this one even more :D Anyway, great picks! Flash Point sounds interesting--love the idea of living in a reality tv show. And I absolutely adore books about music so I'm definitely looking forward to Beautiful Music for Ugly Children :) Thanks for sharing! After reading the blurbs, I wanna read Beautiful Music for Ugly People. I love reading stories where the girls disguise themselves as guys. But the opposite of that would be a first. Sounds intriguing. Thanks for bringing them to my attention. These both sound really awesome!!! Flash Point especially, I will definitely have to add that to my TBR! Enjoy! your choices, they sound great. I haven't heard of either of these, but they sound really good. Thanks for stopping by! This is the first I've heard of these. Thanks for bringing them to my attention. Great picks! I haven't heard of these yet but they both sound really good! I'm definitely adding them to my list now. Beautiful Music sounds especially interesting. Flash Point sounds so great! Can't wait for it. :D thanks for stopping by. Never heard of either of these. Love the title: Beautiful Music for Ugly Children. Fresh choices! thanks for dropping by today.